Beep, boop, beeeeep! 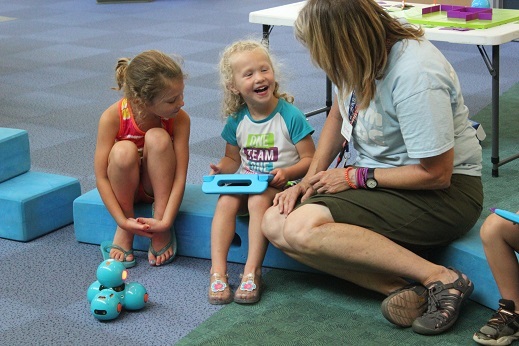 Learn to code real robots Dash and Sphero SPRK at the Kansas Children’s Discovery Center on Friday, February, 22 at 10:30 and 1:30. These fun, engaging robots can learn to drive, deliver messages and launch ping pong balls with the help of child programmers.